New specialties in evolving markets, maintaining quality management and coping with the economic dowturn are very relevant topics in the workplace today. 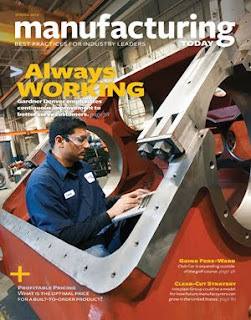 An article in Manufacturing Today covered these topics and more, specifically featuring Spectrum Industires. The article highlighted Spectrum Industries focus on quality and safety as it expands into new markets. To read more about Spectrum Industires new specialties, quality management and view on the economic downturn visit Manufacturing Today.